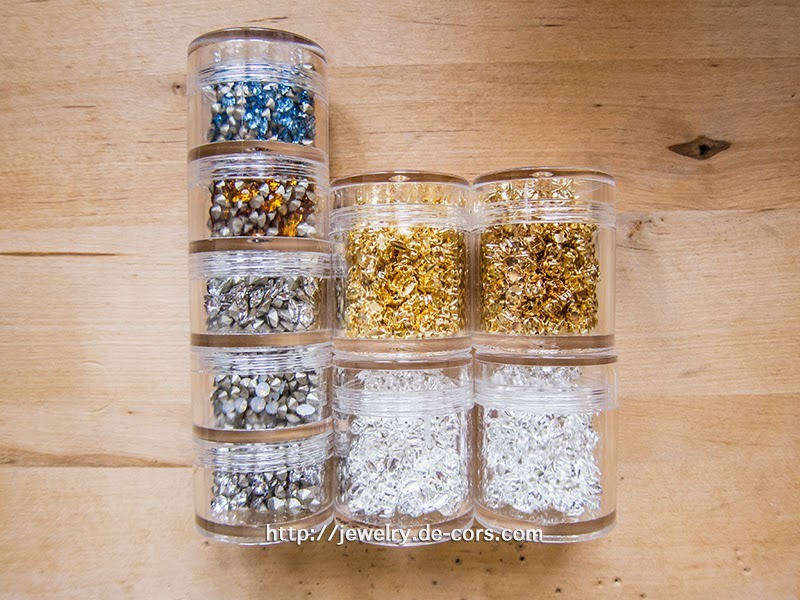 This video is to show you how do I store my beads and stone-settings. I purchased all my stones in bulk, so it is critical to get them very organized to save me time from searching them from their original packaging. I use Muji Acrylic Stacking Cases to store them, it comes in 3 different configuration: Large, small, and stacking case, I am using the large and the stacking case version. The beauty of it is that I could unscrew them from a group and group one container with another, cause I don't usually need all of the beads, just one or two may be.